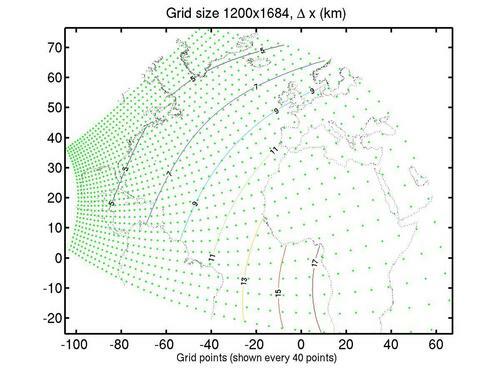 Atlantic RTOFS is the first of a series of ocean forecast systems based on HYCOM. Part of the development of this system was done under a multi-national HYCOM Consortium funded by NOPP. HYCOM is the result of collaborative efforts among the University of Miami, the Naval Research Laboratory (NRL), and the Los Alamos National Laboratory (LANL), as part of the multi-institutional HYCOM Consortium for Data-Assimilative Ocean Modeling funded by the National Ocean Partnership Program (NOPP) to develop and evaluate a data-assimilative hybrid isopycnal-sigma-pressure (generalized) coordinate ocean model. Establish operational high resolution (eddy resolving) ocean forecast system for short-term forecasts (approximately 1-week) of the Atlantic ocean with US deep and coastal waters well resolved. Nowcasts and forecasts of sea levels, currents, temperatures, and salinity. Emphasis on the coastal ocean, the Loop Current and the Gulf Stream regions. 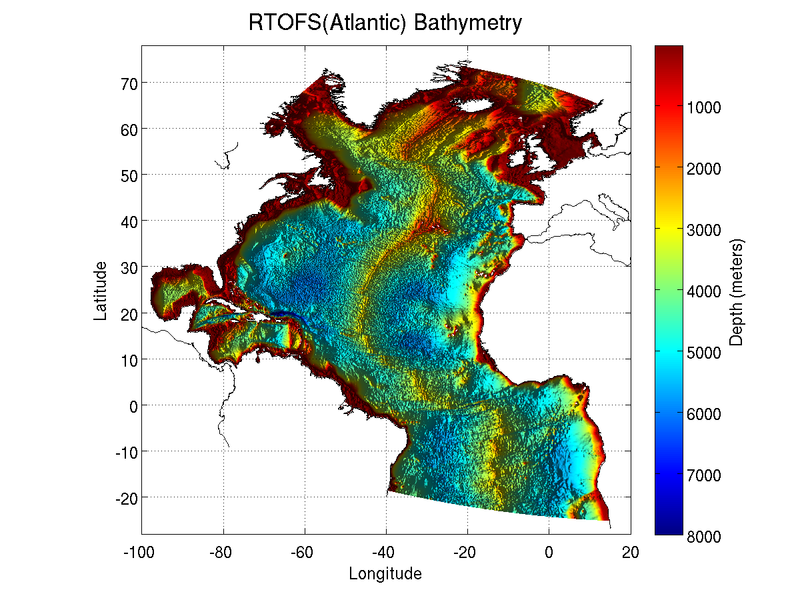 Provide seamless boundary and initial conditions to regional ocean physical and biogeochemical models. Coupled circulation-wave ocean models with one-way and two-way interactions. The NWS/NCEP Ocean Prediction Center has completed an evaluation of Atlantic RTOFS. Their report is available here (pdf). The dynamical model is HYCOM. 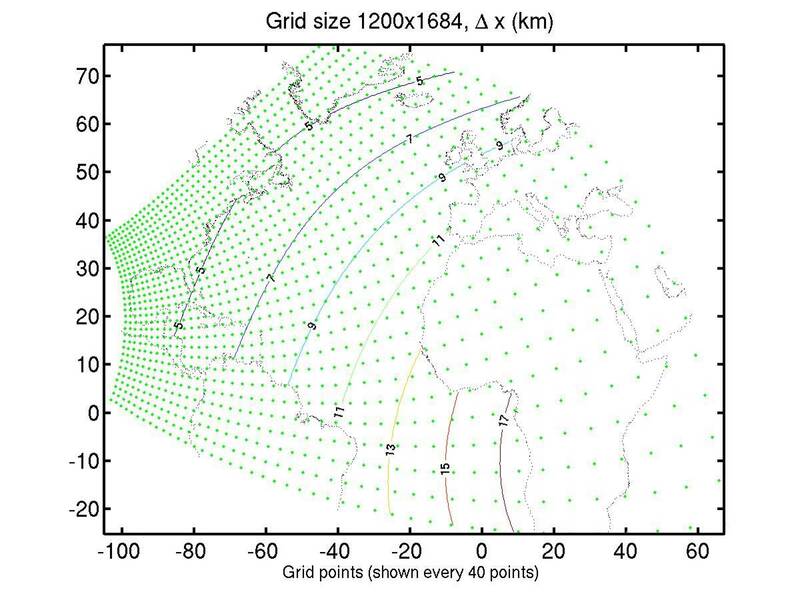 The model uses curvilinear coordinates in the horizontal and hybrid vertical coordinates in the vertical.